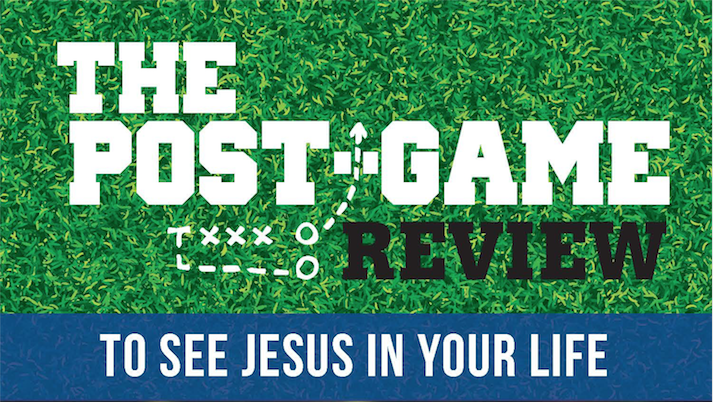 Will you Join Us for the Post Game Review? Jesus is the perfect coach. He cares about you and wants you on His team. He knows how best to teach you the habits and skills you need to grow into the person He's created you to be. He's with you at every moment, cheering you on and helping you to improve the game of your life. Let Him coach you to live your life better by taking time to review your day. Do this every day, and you will see Him in your life. Ask Jesus for help to see where you may have missed Him working. Ask Him to forgive you for any sins and/or missed opportunities, and to help you do better in the next day. Make a specific game plan for your next day. What specific action can you take to improve in one area? How can you glorify Jesus more in your life? How can you serve the people around you? Thank you, Jesus, for the many blessings of this day. Please forgive me for those times I missed the opportunity to live a better life with you. Ad the saints who have gone before me, please help me to live out this new game plan we have created and come back to you tomorrow so I can keep growing in holiness. Pray an Our Father. Amen.